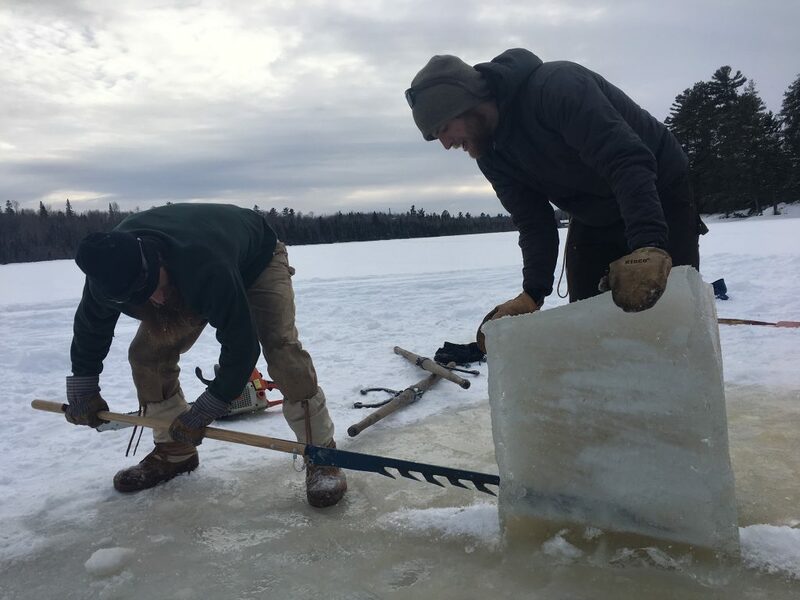 It’s been a few years since I helped with ice on Saganaga. On the Canadian side of the lake the resorts would harvest their own ice to use during the summer. 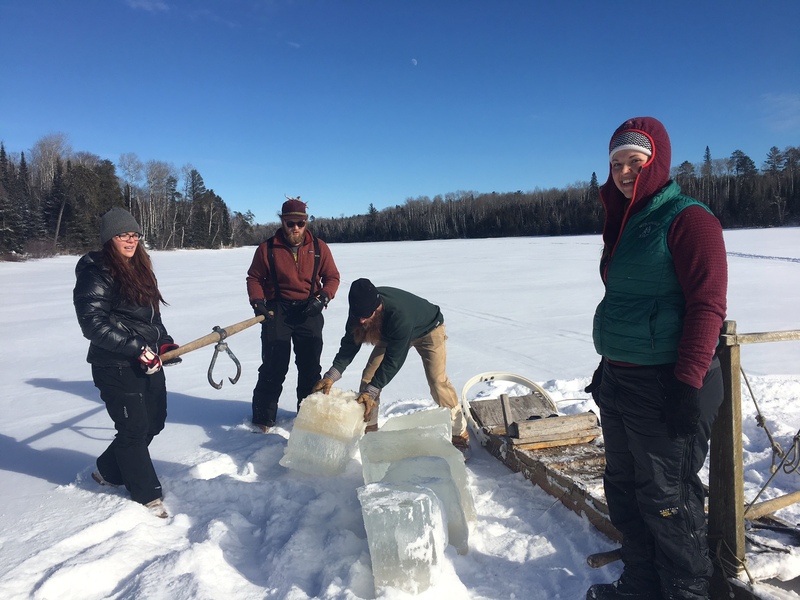 Last year Cassidy and Matt went to help Ryan and Tessa with their ice harvest. They did things a little bit differently but it was basically the same process. 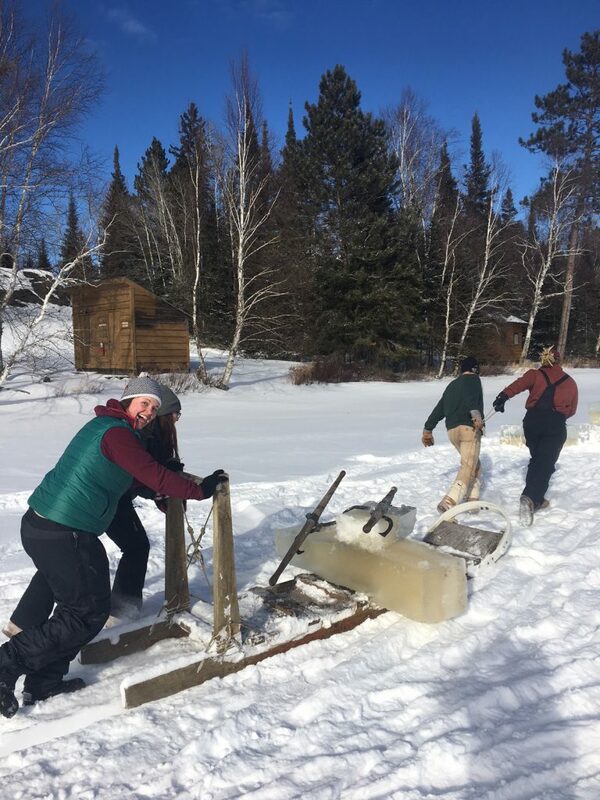 When I helped we didn’t cut all of the way through the ice. 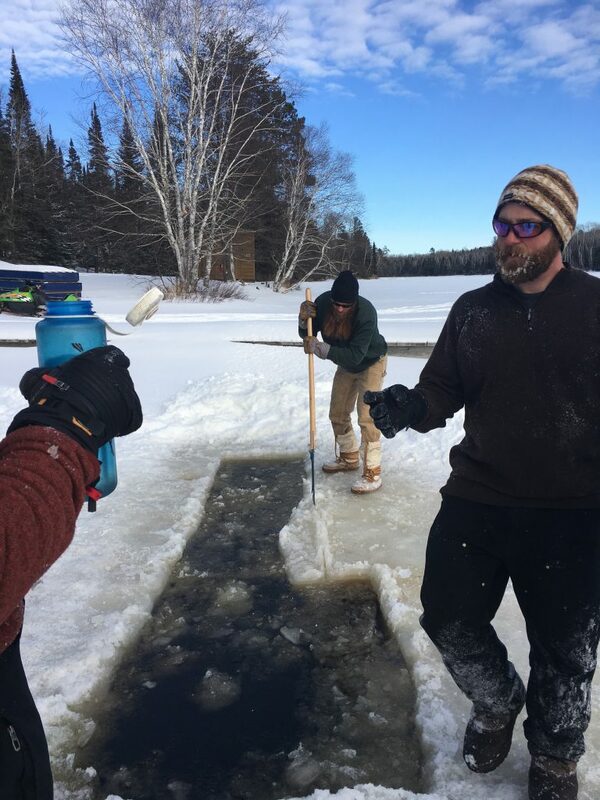 A thin layer was left and after all of the squares were removed a small hole was punched through in order to let water seep in to make more ice. I can’t remember if it was a safety thing so folks wouldn’t go through the ice or if it was some other reason. Anyone know? It’s an experience in any case.